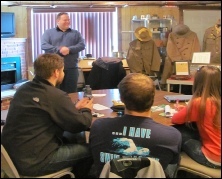 On March 26th the Museum hosted the University of North Dakota’s RTS 470: Interpretative Methods class. During the second of two sessions, EGF Military Room Curator Daniel Sauerwein and Museum Curator Joe Camisa presented an interactive program centered on the fundamentals of museum interpretation. 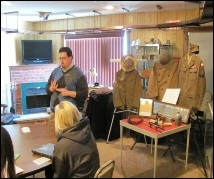 Students learned different techniques and approaches to crafting exhibits and interpretive programs for the museum setting. The first session was held last month and focused on the foundations of interpretive profession. These off-campus sessions allowed students to not only learn in a practical environment, but also to placed exhibited collections and resources at their fingertips. The Northern Lights Railroad Museum is open every Saturday from 9 am to 3 pm as staffing allows.  Admission to the museum is a $1 donation per person. Operation Lifesaver’s mission is to end collisions, deaths and injuries at highway-rail grade crossings and on rail property through a nationwide network of volunteers who work to educate people about rail safety.